GenesisVR is a virtual reality creative studio located in Amsterdam at the renowned technology hub: A-Lab. Working together with our business developers we lead your team to define the VR experience by diving into a series of productive and engaging exercises to create a clear vision of the project. Our design team begins creating assets needed to bring your vision to life; All the 3D models are created from scratch, or in the case a CAD exists, optimised. Our development team programs the interactions and functionalities of the experience. They then put the pieces together that includes 3D art, animations, sound effects and user interaction within the environment. The virtual experience can be previewed throughout the process on the virtual reality headset up until the end of the process with a final VR deliverable including additional functionalities through desktop and mobile devices. What if you could experience what it would be like to be on a super yacht, without actually being on a super yacht? What if while on this super yacht, you could manipulate different interior configurations in real-time, until it suits your style? What if you could use that experience with a client during the yacht construction process or at a trade-show to seduce prospective clients? Nautical VR was something we were working on under the Genesis VR umbrella. Along with partners Shayne Smart, Jaco Oosthuisen and Jilt van Moorst we developed the strategy, designed the experience, built the 3D prototype in Unity which and passed it on to our friends at the Virtual Dutch Men to optimise and enhance. We then built a mini tower and took the experience on the road to the Monaco Yacht Show, sold it in to the marketing heads of the top luxury yacht brands. This was during the time of the DK2, the tech was still premature, however, a world first and we know who to call should we ever get to design our own! 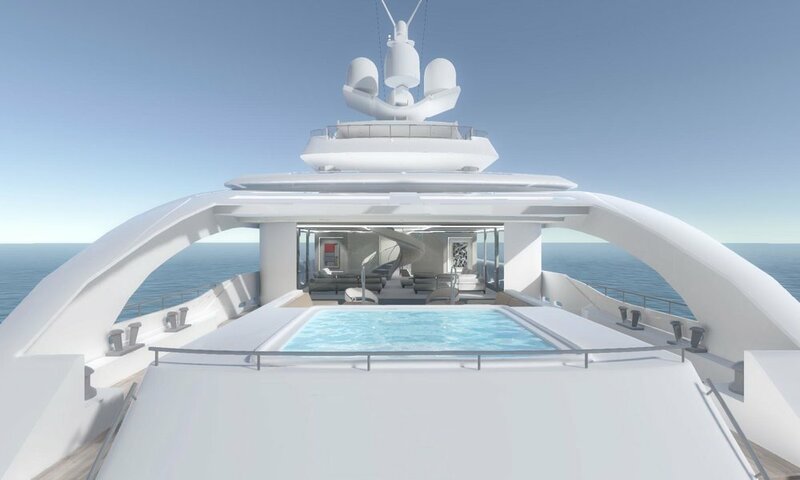 The user can place their yacht in different real world locations or at your customisable harbour showing the different milestones in the build process. Accurate light is one of the most important factors of creating realistic environments. Additional factors include realistic audio effects, dynamic water & skies. With the Virtual Reality headset on (the Oculus Rift), it’ll feel like you’re there. Accurate 100% scaling and on/off board views provides a seemingly real insight into the choices made whilst matching expectations. Project Serenity marks the introduction of a truly unique adventure into a universe unparalleled by our own. 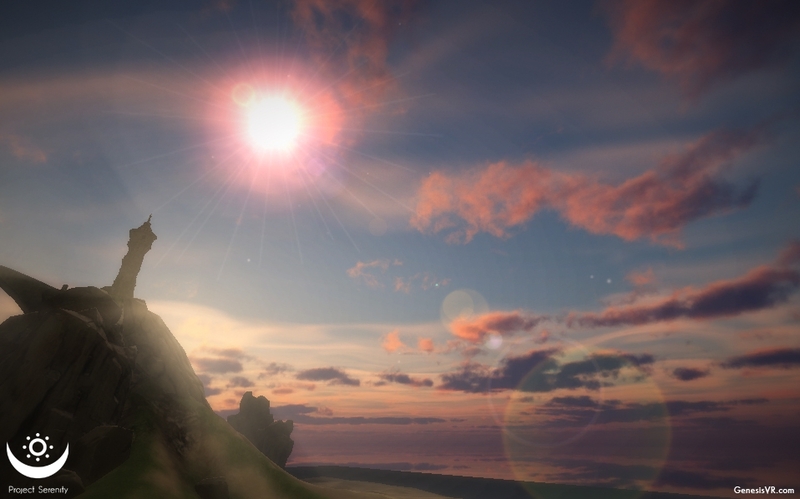 GenesisVR's Serenity sees the creation of a mobile app for mobile VR headsets enabling users access to a range of surreal meditative, relaxing and therapeutic stereoscopic (3D) VR environments. Whether cascading through the seas of a distant world, swooshing gracefully through the mist upon a far off meadow, or opening ferns to gaze upon the beauty of an enchanted forest, the spectacle of Project Serenity blossoms in front of you. Moving swiftly through its development stage, the realisation of this cosmos is happening. Our fondest dreams are manifesting themselves in the worlds we are imagining and the experiences we are creating. To relax both the body and mind takes a completely immersive experience, one which itself takes influence from everything around us. This is where Project Serenity lives - between your imagination and your very own virtual reality. Specialists in their respective fields with a common purpose. EACH OF OUR HAND PICKED MEMBERS ARE AT THE TOPS OF THEIR FIELDS TO CREATE THE ULTIMATE VR STARTUP TEAM. OUR IN-HOUSE TALENT IS CAPABLE OF RUNNING THE ENTIRE SHOW FROM INSTIGATING A BUSINESS DEVELOPMENT PLAN, CREATING 3D ART AND ASSETS, DEVELOPMENT AND CODING, INTERACTIVE DESIGN,AUDIO & ANIMATION PRODUCTION, AND THEN TRANSLATING INTO A VIRTUAL ENVIRONMENT WITH THE RECOMMENDED HARDWARE.